This king size quilt has an elegance of its own before the quilting began. Each print block was quilted with scroll work and the plain blocks were filled with a feather wreath design. The borders were combined with one design. Crosshatching was used on each pineapple with a background design placed around them in the block. Two separate borders wrap around this wonderful display of fruit. 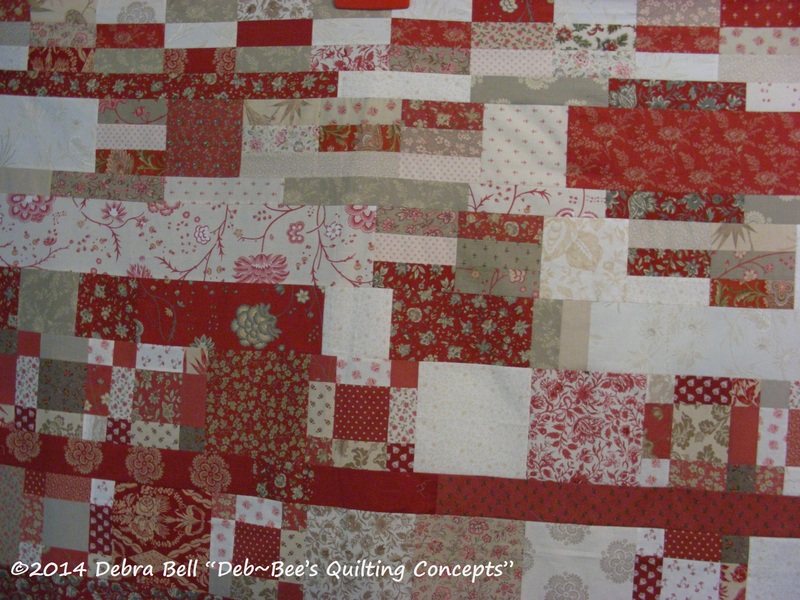 An adorable panel was used in this traffic quilt top. 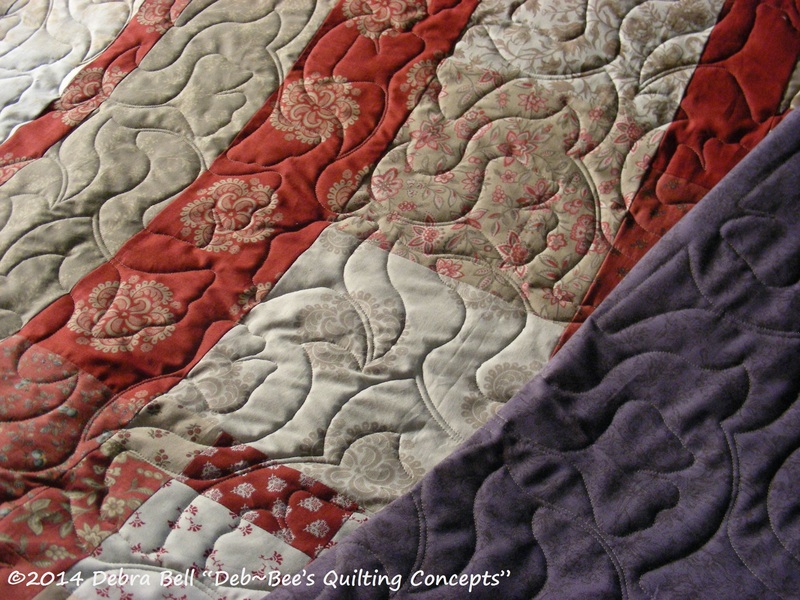 The pattern Lost by Anne Bright was quilted edge to edge using Superior’s Fantastico thread on top and Bottom Line in the bobbin. 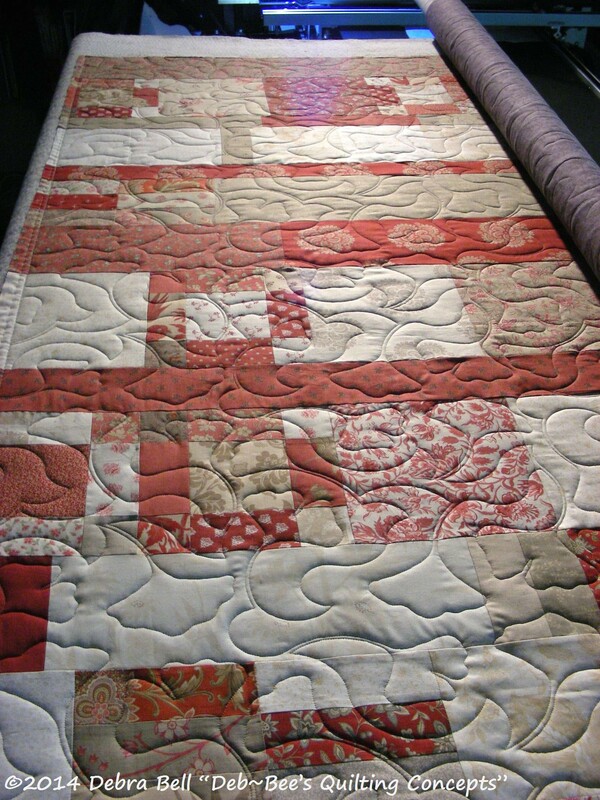 This red, white & tan floral was quilted edge to edge with a pattern called Gingko1 by Vickie Malaski. Omni Colonial Gray thread on top and matching color Bottom Line thread in the bobbin. A Billowy Pantograph pattern was placed across this quilt using Omni’s Little Boy Blue thread.